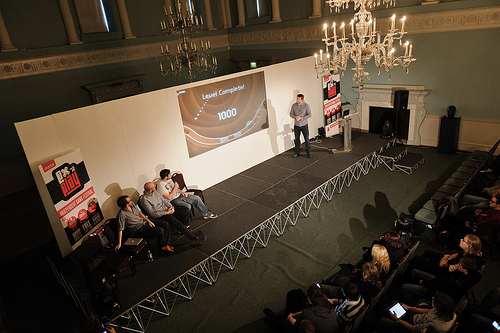 ExPlay 2012: What can games offer science and society? It’s encouraging to hear from developers engaged with areas such as science and education who are so passionate about ‘traditional’ gaming values. The idea of closely aligning education with game goals – needing to know that copper conducts electricity in order to solve a puzzle, for example – is a simple, but powerful one. Auroch Digital wants to say a huge thanks to the ExPlay people for making us feel so welcome and putting on such a great event! The talk above happened the day before the games from the Wellcome Trust ExPlay games jam's shortlisted game's were showcased. PCGN: Why has the Wellcome Trust taken an interest in games? Tom: The guy who founded Wellcome, Henry Wellcome, was passionate that science was a part of human culture and that you didn't see a separation between the two. So part of Wellcome's mission, in addition to these big major challenges, is to engage with people so that they see science and culture together. Games are a great method to talk about science because games by their nature are dynamic, they're interactive, and science is very hands on. So if you want to explain to somebody a complex system whereby as you change what's in the system the system changes as a result, games are a great way to do that because rather than just talking about it you can let the person experience it themselves. I mean, ultimately, if you think about what a player does when they play a game they are using the scientific method, I mean they get dropped into a game on the first level, you don't know the rules of this new world, so what you have to do is trial and error to figure it out, and by trial and error you construct a set of rules in your head “If I touch this object I die, whereas if I jump over it I'm OK” and ultimately they are constructing a series of rules to help them navigate that world. And really, that's what science does. It's by trial and error, by experimentation we construct a series of rules that allow us to understand and engage with the natural world. I believe that the scientific habit of can be widely found within gaming. All video games present the player with a virtual space to be explored. The laws of nature within that space start as a mystery to the player and they must engage in a series of trial-and-error experiments to probe and understand that world and gradually build up a predictive model of how this virtual world operates and how the player can thrive within. This ‘gameplay’ is akin to the scientific method. In Portal 2, for example, the player finds themselves in a room and must solve its puzzles in order to exit. Puzzles take the form of an increasingly complex series of switches, lasers, locks, springs and fluids. 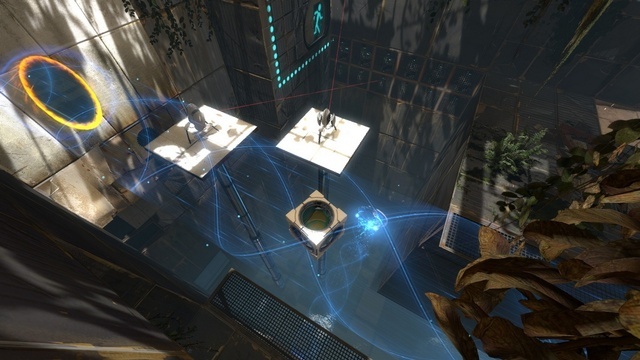 To assist the player in solving each puzzle, they are equipped with a ‘portal gun’ – a device that fires two connected portals that allow objects, lasers, people and more to pass between two points. 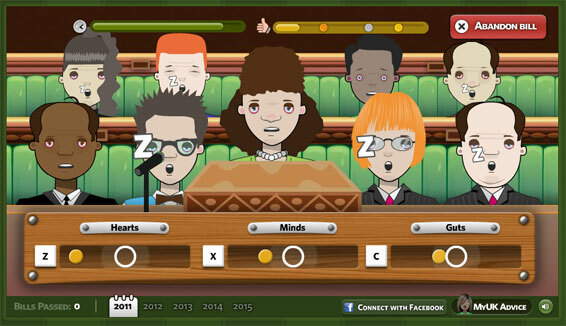 There is an interesting game/experience application by the Parliamentary Education Service and Preloaded called 'MyUK' just gone live. Its aimed at young people and is about teaching them the core ideas of parliamentary democracy. I did have a look at a beta version of this while doing a bit of work with the PES, so its great to see it out in the wild. It has lots of fun little mini-games within a wrapper about running your own political party. One of the things I like about it, is that there are elements of compromise in the overall experience, something important in the democratic process but that rarely feature in games, which are about winning or losing.